Beautiful 3-story townhouse/rowhouse in great location with convenient access to shopping, restaurants and freeway. 3 BR,2.5 baths in the highly desirable Hilliard Schools,but Columbus taxes. 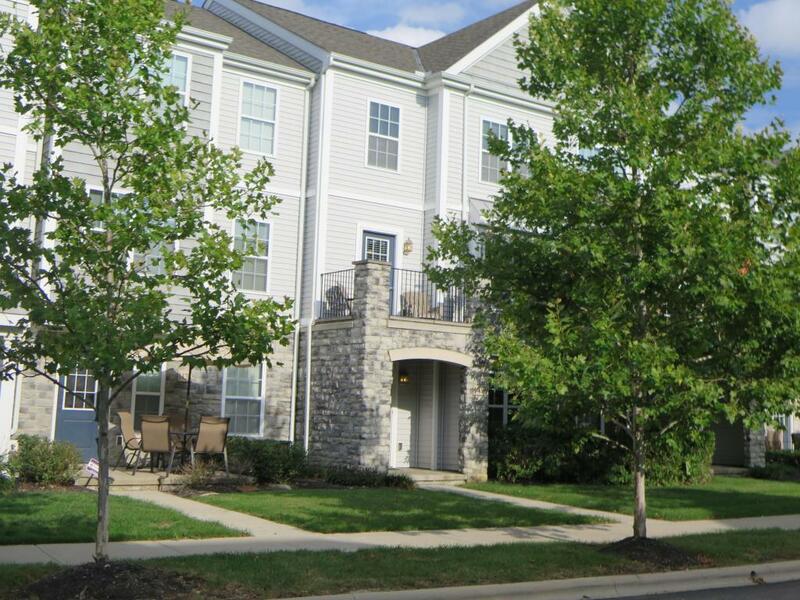 Main level has gorgeous hardwood floors and beautiful open floor plan.Enjoy the view from the balcony! Freshly painted,newer carpets(2015) just cleaned,ceiling fans in all bedrooms and main level living room,newer microwave and refrigerator, custom tile backsplash in kitchen.Entry level family room could also be used as a den or office.Wall-mounted Flat screen TV conveys with property. W/D in the conveniently located 3rd floor laundry conveys with property.2-car attached garage with opener,plus tons of storage space. Short walk to the neighborhood playground! Spotless and move-in ready!